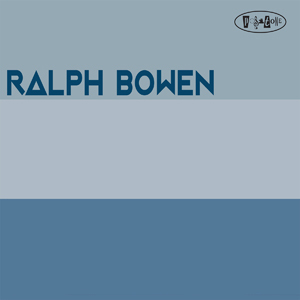 What to make of tenorist Ralph Bowen’s embrace of minimalism for the packaging of his latest untitled effort for Positone, or is indeed Ralph Bowen the actual title? It’s a query that goes unanswered on the album, a batch of seven originals and three tunes from other composers, six of the former of which unify under the umbrella of a suite structure and indulge through their component titles in one of this writer’s favorite preoccupations, alliteration. A cloud of hand-sketched notes and a candid black& white pic of the artist, reed planted expectantly in embouchure are the only other clues to Bowen’s intent outside of the music. The covers provide a clear indication of Bowen’s stylistic preferences for those unfamiliar with his substantial body of work as a leader and sideman. Dave Liebman’s “Picadilly Lily” and McCoy Tyner’s “Search for Peace” are each artifacts from the post-Coltrane 1970s and both get faithful renderings by the quartet under Bowen’s helm. Bassist Kenny Davis contributes “Aye”, a delicate ballad that gives pianist Jim Ridl room to shine alongside the leader. Drummer Cliff Almond’s cymbal work here and elsewhere is the epitome of poise and taste. With the rhythm bases cogently covered, Bowen is free to blow at will with a warm and expressive phrasing. Three-quarters of the album gives over to the aforementioned Phylogeny Suite, a series of six interlocking compositions pairing fauna with alliterative descriptors. Linking the music to its titular referents swiftly becomes something of subjective cul de sac and the pieces work just as well apart, a lesson also intimated in the nominally distinctive album packaging. “A Rookery of Ravens”, for instance, balances humor and propulsive rhythm and finds each of the players synching smoothly into a well-oiled whole. Same goes for “A Flamboyance of Flamingos”, which takes flight on another complementary unison theme with Ridl plugging in a Fender Rhodes. Bowen may not give much in the way of background or annotation, but the music works just fine without it.